WAKARUSA—Kenneth Schick, 48, Topeka, died following local law enforcement’s response to a domestic disturbance call Oct. 20 in rural Osage County. 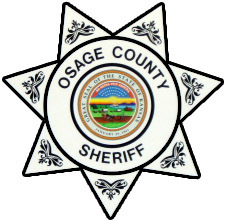 The Osage County Sheriff’s Office responded to a 911 call of a possible domestic disturbance at 11651 S. Jordan Road, two miles north of Carbondale. According to a press release from the department, officers arrived on scene at 1:35 a.m. and found an ongoing domestic disturbance with a hostage situation. “Osage County deputies deployed Tasers and oleoresin capsicum spray to attempt to gain control of the suspect,” said Laurie Dunn, Osage County sheriff. Schick was identified as the subject Oct. 23. “Schick was transported to a Topeka hospital by Osage County EMS and died later that morning,” Dunn said. The case is being investigated by the Kansas Bureau of Investigation, and cause of death is still pending. “There will be no further comments until the Kansas Bureau of Investigation has completed its investigation,” said Dunn. Schick’s death marks the second death related to a non-lethal response by law enforcement officers in Osage County this year. Martin Bayless, Burlingame, died on May 9 after being hospitalized from a Taser incident on May 1. The standard offense report described Martin as fleeing or attempting to elude Burlingame Police Department James Lovett officer at 227 E. Freemont Ave., Burlingame. Martin’s death is also being investigated by the KBI. No updates have been released on the incident.